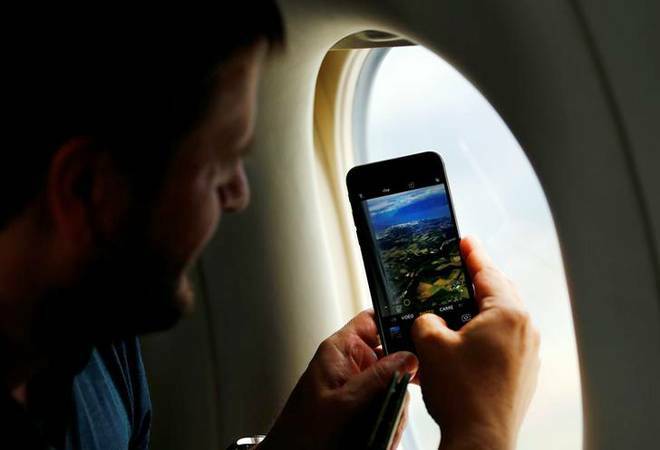 High satellite bandwidth charges are likely to play a spoiler in the uptake of in-flight mobile services in India as these would make the facility costlier by 30-50 times at Rs 700-1,000 for a two-hour journey, says an industry official. The chief technology officer of broadband technology firm Hughes India, K Krishna, told PTI that satellite bandwidth charges in India are 7-8 times higher compared to other parts of the world due to the condition that bandwidth can be procured from Indian Space Research Organisation only. "Passengers are not going to pay 50 times higher price for Internet on a two-hour flight. It has to be extremely affordable and for that to happen open sky mechanism is very much required. You can't be restrictive that only Indian satellite need to provide capacity. Monopolistic policy won't work. The policy will become a duck if these issues are not addressed," Krishna said. Hughes has applied for a licence for in-flight and maritime connectivity that will allow access to mobile services during air travel and ship voyage within Indian air space and territorial waters. He said that there is adequate satellite capacity available at very affordable cost for in-flight and maritime mobile services to work. "Investment per plane is not small. It is in the range of $500 thousand per plane. None of the Indian airlines or shipping companies will really invest till they see a return, and return has to come from passenger paying for the service. "The bandwidth will make 70-80 per cent cost of service. At present rates, current tariff will be in the range of Rs 700-1,000 which lot of people are not going to afford if they compare it with routine mobile plans," Krishna said. He said that global business model of in-flight mobile services works at 10 per cent passengers opting for the service. "An option to increase uptake is that in-flight service charges are included in air ticket but the tickets are already in the range of Rs 4,000-5,000 and adding charges of IFC service will not be a feasible business model for airlines," Krishna said. The mobile services in planes will be provided once it attains a height of 3,000 metre. It can be provided through both using telecom networks on ground as well as using satellites. "Indian vessels going outside Indian border should also be provided service by an Indian service provider. Otherwise we are letting service providers from other countries exploit it. None of other country surrounding India has restriction of 12 nautical miles like we have," Krishna said. He said that as per international norms, Indian service providers can provide service to aircraft and vessels when they are in international or no-man zone but Indian telegraph act restricts companies to provide services within national boundaries. "These are the things which the government needs to relax for healthy uptake of service," Krishna said. The company expects to get a licence for the service early next month and has started discussion to start service in some of the aircraft, he said.